The lyrics he is singing doesn't even fall on the notes of the melody so how does he know what pitches to sing? Most of the music I hear, the lyrics that the singinger is singing doesn't actually fall on the melody. I guess I'm asking what are they singing relative to? Or do I have the whole concept wrong? Pleased explain in thorough detail to me. If you listen at (1:25) he starts holding a note; as he's holding the note though different pitches are being played of the melody so what pitch is he looking to match? Because he cant be singing each note of the melody if he's holding aIs his voice sliding from pitch to pitch as he holds the note?? What is that I'm missing this running me crazy!!!!!!!! Please help!!!!!!!! There are multiple melodies playing at once: that repetitive high synth figure is one, the bass has a melody of its own, and the lead vocal also has its own melody. All of those melodies are different, but fit together. This is normal. If anything it's more common than cases where the lead vocal exactly follows some instrument. The singer may find their pitches in any number of ways, by knowing where they are relative to other parts or relative to the underlying key or harmony. In practice it's a mostly intuitive process, but sometimes you have to think about it more consciously (maybe when finding the very first note, or when making an odd melodic leap). Music with different lines playing/being sung simultaneously has been around for hundreds of years. Alot of church music was, and still is, like this. Bach and many, many others took it on with instumental lines which wove in and out of each other. All the notes sung and played here are 'in key'. They're just separate lines that are worked so they blend together. The singer is singing the vocal melody (the notes he sings), while at the same time there's a bass line, a guiat type riff and a synth line all complementing each other. Not the answer you're looking for? Browse other questions tagged voice musicology or ask your own question. 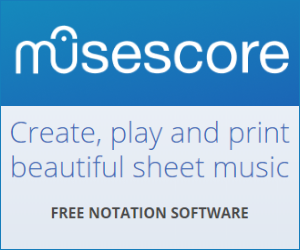 Are there reliable free/cheap software tools which will transcribe a sung melody/lyric?